Tension and strap steel strapping - one easy tool & no seals required! This easy to use combination for steel strapping does the full job with no additional tools or seals required - speeding up busy despatch areas. 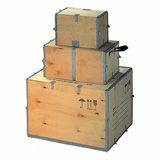 This steel combination tool saves valuable time, compared with separate strapping tools, and can be used horizontally to seal cases, crates and pallets. The reversible punching dies give this sealless combination tool a longer life. 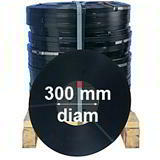 Simply place on a flat surface on top of the pallet or carton and feed through the ends of the steel strapping. 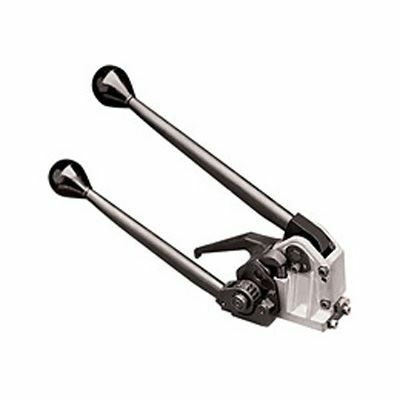 Combination tool tensions and seals with high pressure action and without the need for separate metals seals. This heavy duty sealless steel strapping combi tool is fully adjustable for strapping widths from 13mm to 19mm. This sealless combination tool is ideal for strapping cases, crates, flat packs and pallets. Simply order today or ring for advice about sealless steel strapping combination tools. 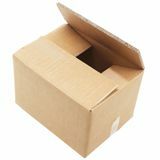 With over 35 years packaging experience, and a comprehensive range of combination tools in stock, we'll help you make the ideal choice. As well as friendly advice we aim to offer the lowest UK prices on strapping combination tools and speedy delivery, so you can you can use your sealless combination tool without delay!